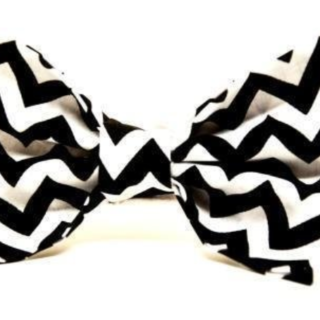 It’s now associated with formal wear or hipster styling but the bow tie dates a long way back. It first entered the scene as a variation of the cravat, a piece of clothing that had been around in Croatia in the 17th century as a way to hold the top of shirts together. 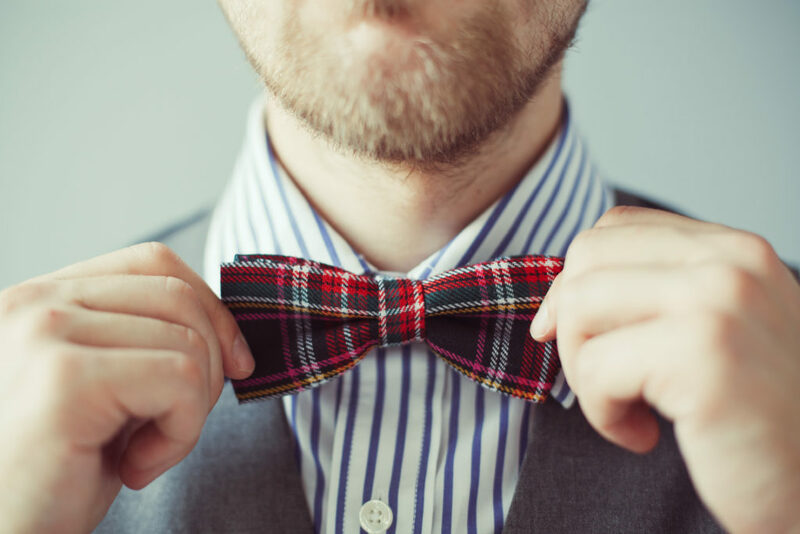 In the 1800s, it was the aristocracy that changed the cravat into the bow tie (throughout history, they are usually at the forefront of all major fashion trends). 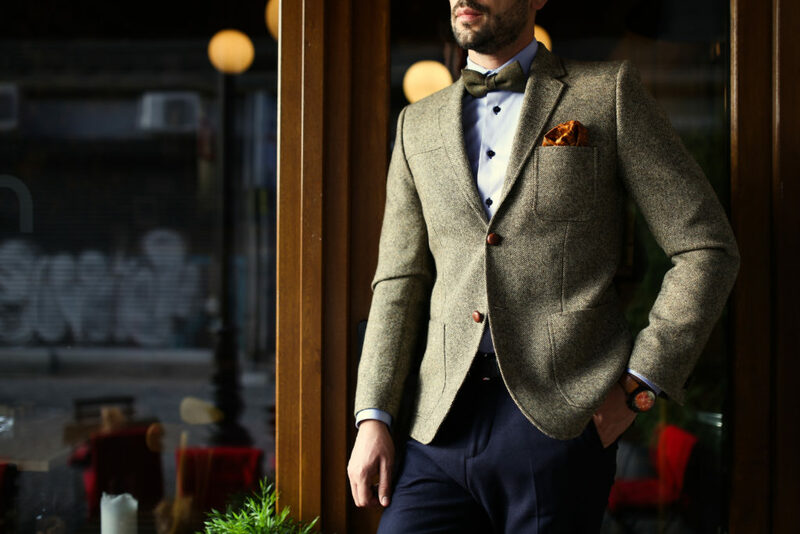 By the 1900s, it was a style staple in every fashion-forward man’s wardrobe. It was still very much worn as part of a full formal ensemble only though, until they started being sported by surgeons and other academics too. As the trend spread, it became a wearable fashion item that looked just as good with a full tuxedo as it did with a casual shirt. As the accessory developed, it became available in a variety of styles. 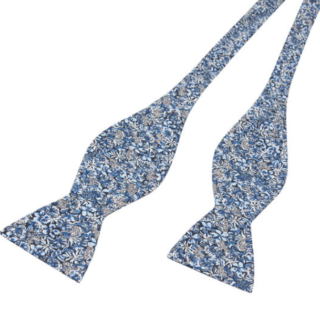 There’s the self tie; a long piece of fabric with curved edges that requires wearers to cross and loop the fabric together to create the bow tie shape. 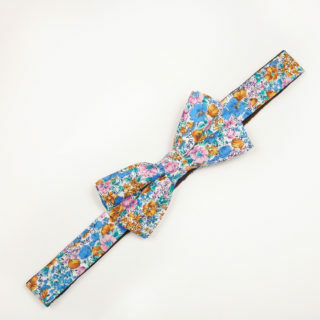 There’s the pre-tied; retailers quickly realised that people were finding the tying of the bow tie too complicated so they made a pre-done one that came available on an adjustable strap. Still not satisfied that catered to everyone, they also invented the clip-on; a perfectly formed bow tie with a clip on the back and no neck strap so wearers can simply attach to their collar. 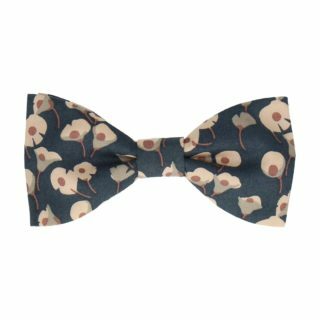 Our navy Ragged Robin print bow tie will bring a flamboyant touch to a formal dress code, thanks to its statement floral print and bright colour palette. This tie is part of our Liberty Fabrics collection, which is distinguished by its seasonal patterns and reworked designs. It is made from pure cotton for a luxurious finish and is printed in England. 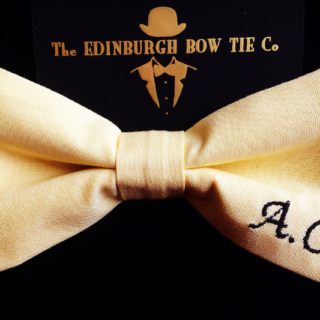 All our bowties are made-to-order in the UK and are lovingly crafted from fine fabrics such as cotton. Get this one for only £19! 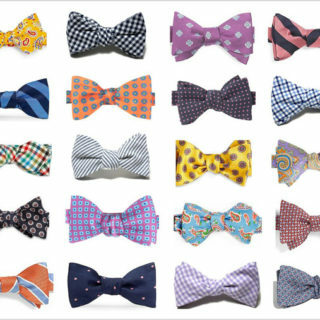 Beautifully crafted from silk, these bowties will look great with your favourite suit. We are focused on quality and style. We love great prints and good design. Make a statement with your accessories! 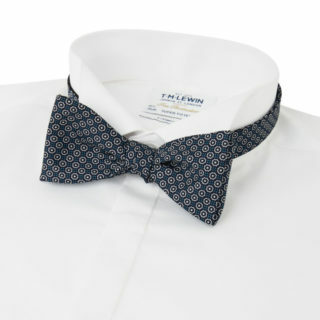 Create a formal look with a difference: the geometric print of this self-tie bow tie will give any outfit a modern touch. The pure silk composition ensures that this piece has a luxurious look-and-feel. The fine, geometric pattern enlivens this traditional accessory, with delicate white circles punctuating the dark backdrop. 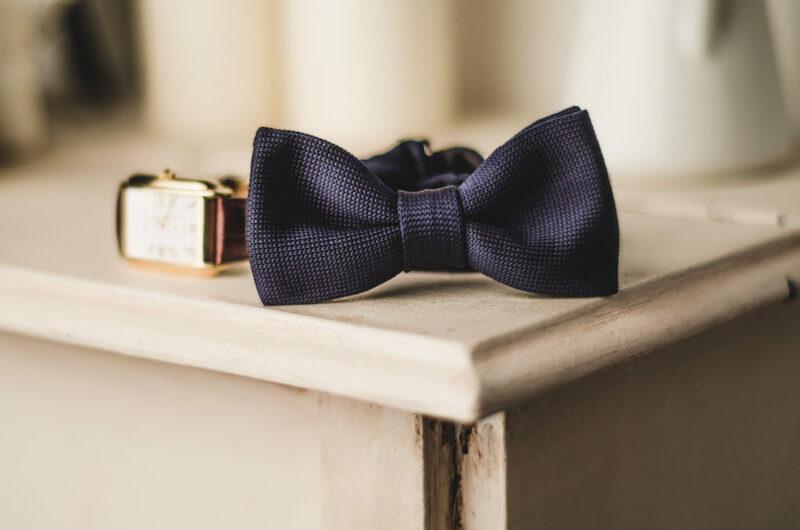 The navy blue base tone ensures this bow tie is smart, which means you can pair it with a suit for social occasions and work events.